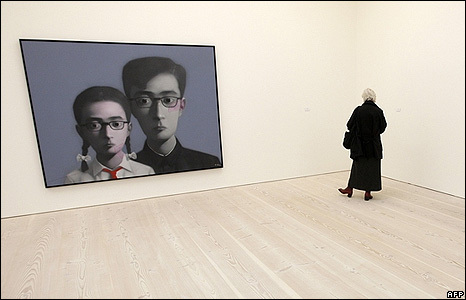 The new Saatchi Gallery opens its doors to the public in London this week, with its inaugural exhibition The Revolution Continues: New Art From China. The exhibition brings together 24 of China's leading artists, including Zhang Xiaogang whose painting Bloodline hangs in the gallery. 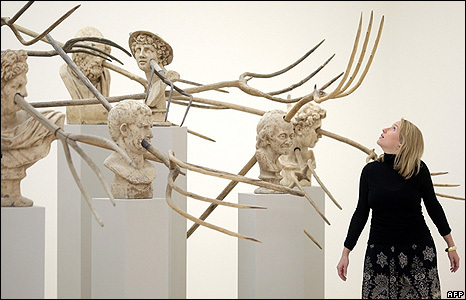 Civilisation, by Bai Yiluo, is among the exhibits at the 70,000 sq ft gallery, in the Duke of York headquarters in Chelsea. 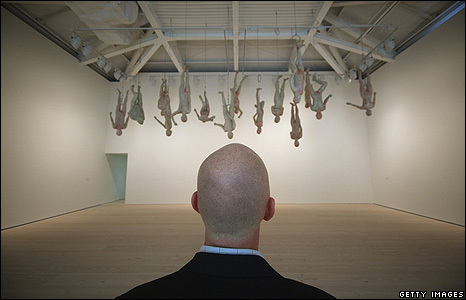 Chinese Offspring, by Zhang Dali, features 15 life-sized figures suspended upside down from the ceiling. Each one represents a migrant construction worker. 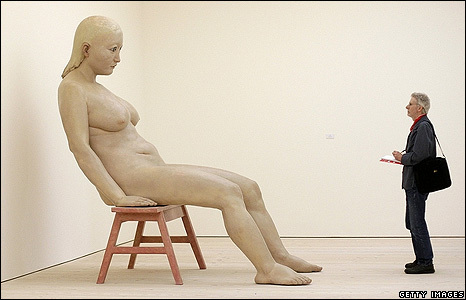 Artist Liu Wei built Love It! Bite It! 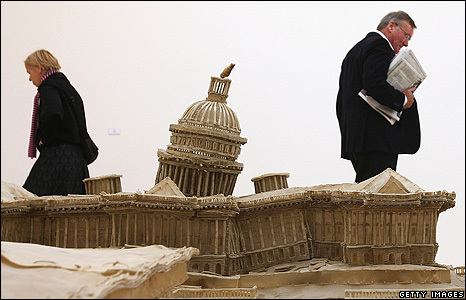 - a model city of Western culture's "tastiest bits", including the Colosseum and the Guggenheim - from edible dog chews. 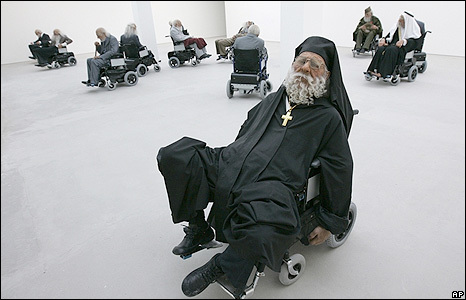 Old Persons Home, by Sun Yuan and Peng Yu, presents satirical models of pensioners in wheelchairs who bear some resemblances to world leaders. 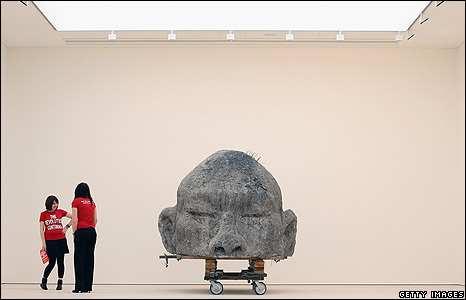 The Revolution Continues: New Art From China will open to the public on Thursday.